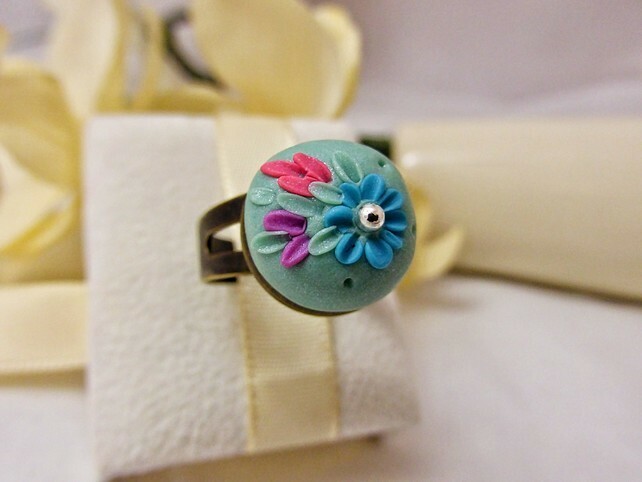 A pretty adjustable ring delicately handcrafted from Polymer Clay. 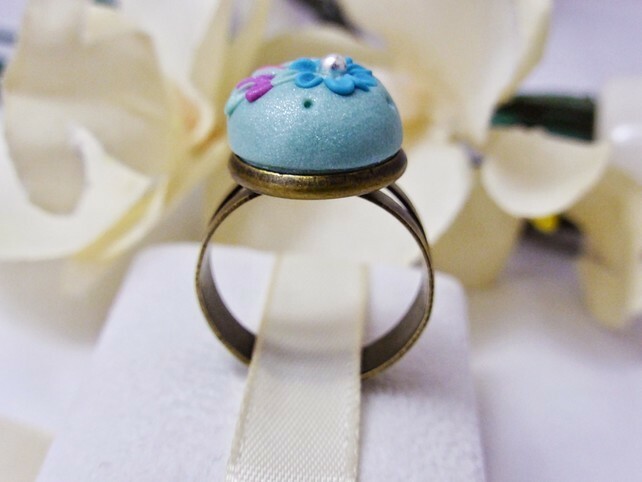 I have used a light Turquoise coloured clay with a mix of Pearl Shimmer to give a beautiful sparkle effect. 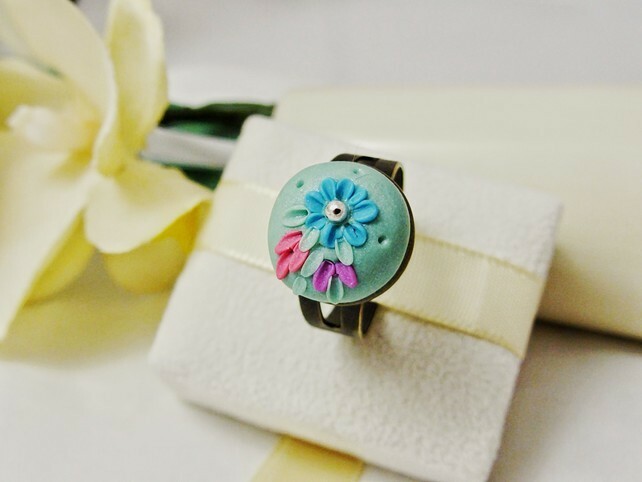 The ring is finished with an intricate, detailed floral design. 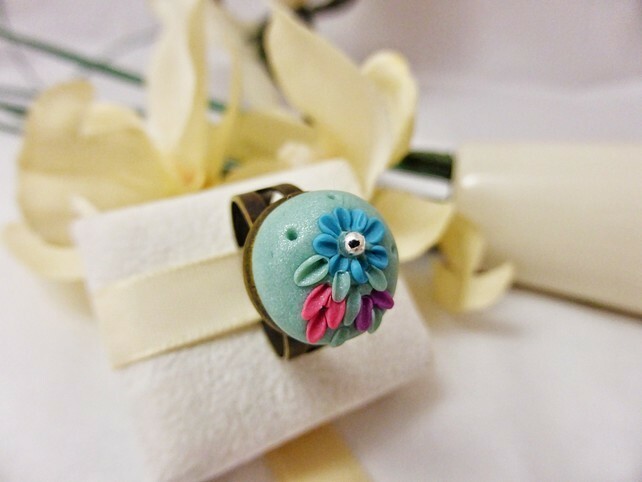 I have also used an antique bronze coloured ring base which will adjust to fit an array of finger sizes. 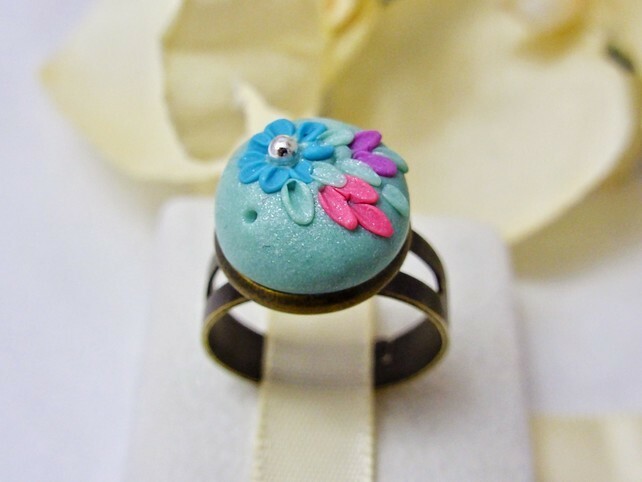 You will be owning a truly unique piece of handcrafted jewellery as no finished item is ever identical. 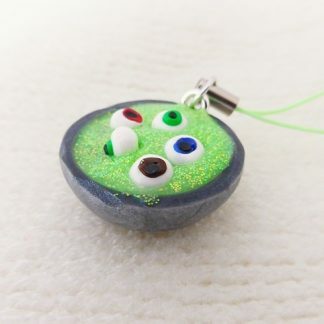 Please do not wear whilst bathing, showering or swimming.